The final stop of the TJ Hop! Welcome! Today is release day and the Technique Junkies Design Team is celebrating with a hop. If you arrived here from Beth's Blog, you are in the right place. If this is your first stop, I encourage you to start at the beginning, on the Design Team Blog. If you started at the beginning, I hope you have been inspired by what you have seen. Don't forget, we have 15 new releases today, and a 15% discount on all the February Release Stamps! Today I am featuring two of the new stamps. The bright pink/red/orange card, above, was made using Art Anthology Minx in the background. The Minx were dropped onto wet watercolor paper, sprayed with Gilded Gold Colorations, and then moved around until the background was covered with color. 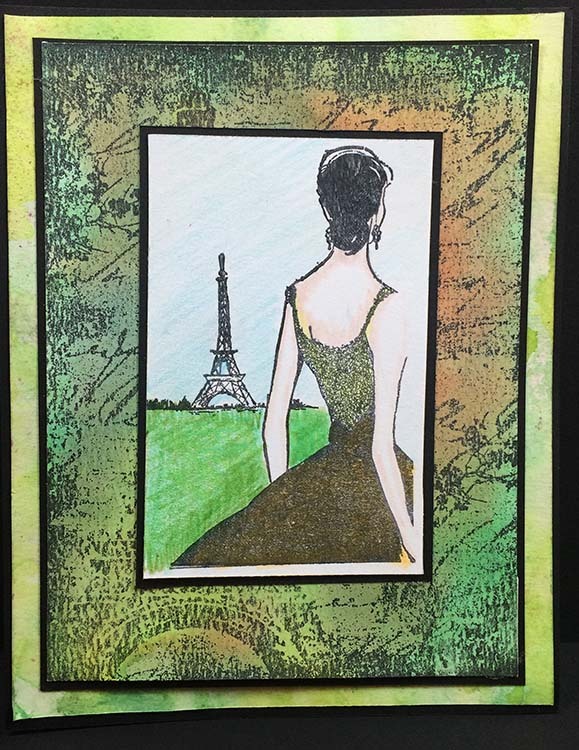 Once dried, the Le Tour Eiffel image was stamped over the watercolor paper with black StazOn ink. 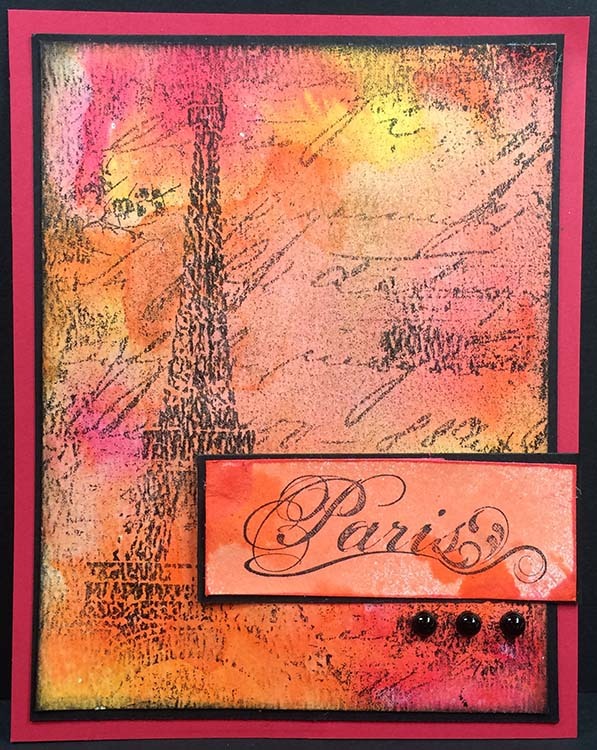 The Fancy Paris Sentiment (not a February release) was stamped and then colored with Juicy Colorations. 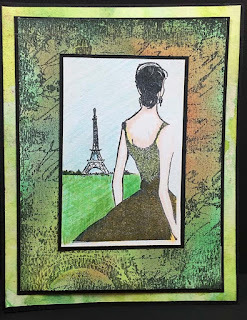 My second card today uses the Paris Dreams stamp, colored with colored pencils. 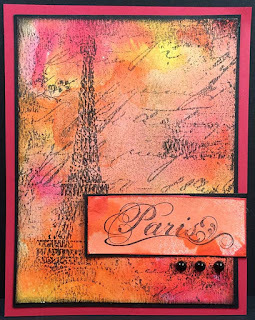 I layered this over a second Minx background stamped with the Le Tour Eiffel stamp, which was made in the same way as the one above. I hope you enjoyed the hop today, and that you found some things you loved. Remember to order your February stamps before February 8th!